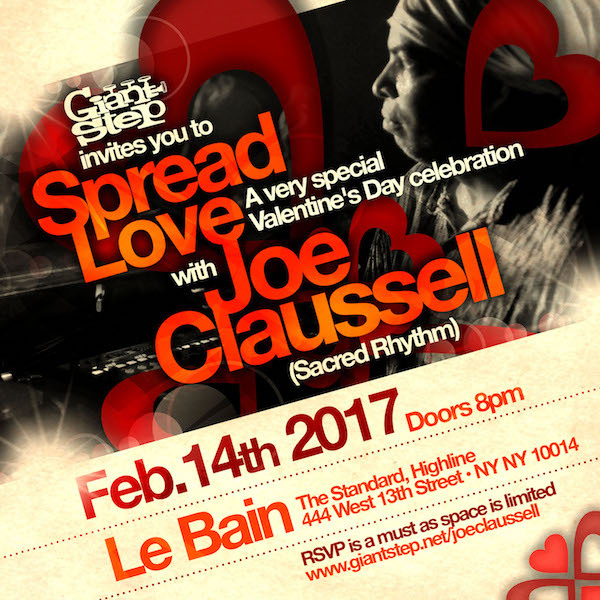 Giant Step invites you to a very special Valentine’s Day celebration – Spread Love with Joe Claussell. Join us on the dance floor starting at 8pm on February 14th at Le Bain at The Standard, High Line. Bring your Valentine or find a new one above the Manhattan skyline.